We were so excited when bride Brenna contacted us about candles for her January winter-themed wedding. 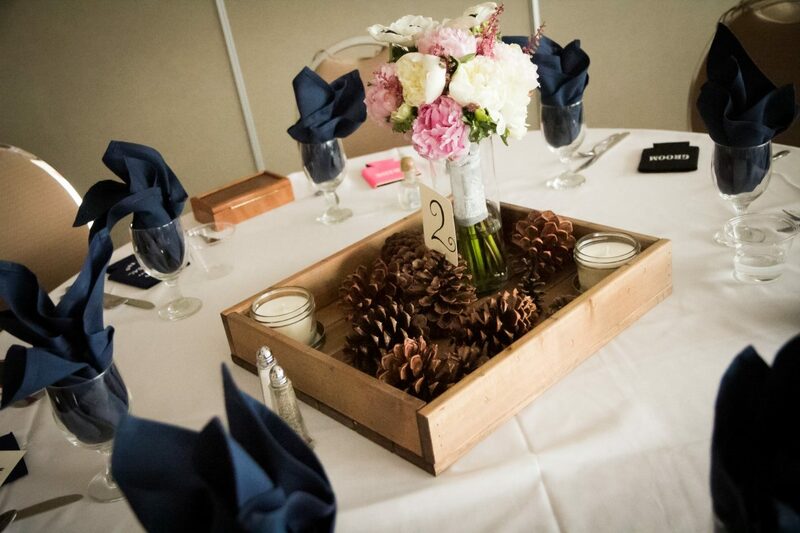 She had an idea for her table centerpieces; a rustic, wooden holder with pine cones and some of our candles. Brenna selected our eight ounce candles and opted for no scent, and the natural soy wax color; a creamy white. 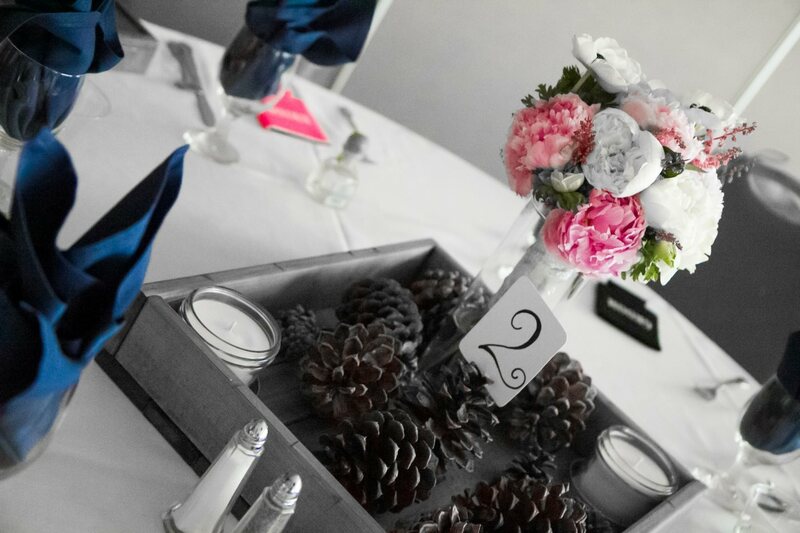 Here are a couple of pictures of the centerpieces from the wedding. All photo credit goes to LC Photography and Makeup. Used with permission by the bride. If you are interested in a custom order for a wedding or another occasion, contact us here. Previous Previous post: 10 Most Popular Scents of 2014! Next Next post: Mother’s Day Gift Idea!